First model E190-E2 is close to its final tests and to its certification. The E195-E2 will follow in first quarter of 2019. "Built on Embraer’s highly successful first generation E-jet program, the E2 program completely redesigned the wing, and introduces new pylons, landing gear, horizontal stabilizers, cabin, cabin air system, air cycle machine, bleed air system, and a new fly-by-wire system, beating the original performance targets for the aircraft. The Pratt & Whitney Geared Turbofan engine was selected as the exclusive powerplant for the E2 family." Embraer certainly seems to know how to deliver on time, and on budget. Maybe Boeing (and Bombardier) could learn a few lessons from Embraer. "Embraer almost doubles net firm orders in 2017"
- "Embraer received 86 net firm orders for commercial aircraft in 2017, almost doubling the 45 net orders it logged in 2016." - "In 2017, Embraer saw the most order activity for its E175 and E195-E2, adding 78 and 16 firm orders respectively." 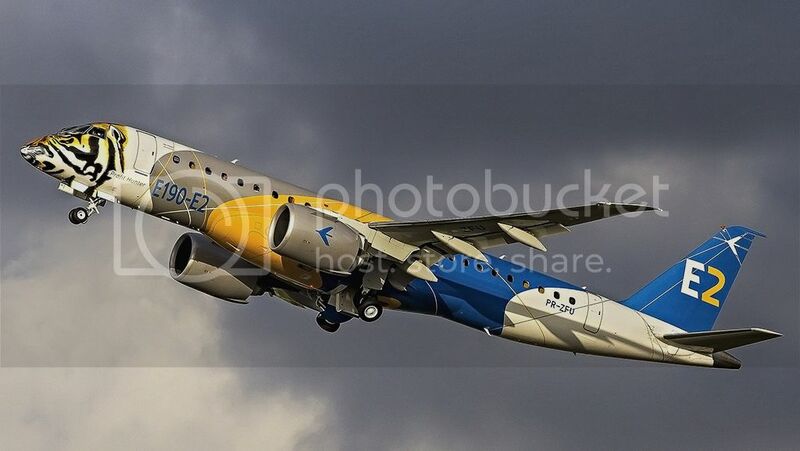 - "Embraer added another 16 orders for the E195-E2, although six of those appear to be conversions from the smaller E190-E2, split evenly between lessors Aircastle and AerCap." - "Including the six conversions, Embraer shed 11 firm orders from its E190-E2 backlog, analysis of its order and delivery figures shows." Considering the production rate of ~ 100 aircraft per year, 86 net firm orders is a good number. "Test to determine the Vmu – minimum unstick speed - of the #Embraer #E190E2. This test subjects the #E2 to its maximum safe angle of attack prior to becoming airborne. The tail contacts the runway and the air speed is measured just as it takes off. The Vmu helps to determine critical take off speeds and take off distance. The test aircraft has demonstrated exceptional handling characteristics at high AOAs and is extremely controllable, even at low speeds." Vmu tests are always spectacular to watch indeed. The tests were performed by prototype n. 4 PR-ZFV. - Do not put too much pressure on the discounts to obtain sales at the expense of the leasing companies. They really have managed the transition near flawless so far. Now the question is can they get the influx of orders that comes many times when aircraft enter service. They aren't in a hurt yet but unless the regionals pull the trigger on replacing CRJ's with 175's in mass the number of 76 seaters is getting close to maxing out so the steady 80 some odd planes delivered is bound to go down and the E2 will need to pick up the slack. I think it will (although the uncertainty of ownership might leave airlines sitting on their hands a bit just to see how it plays out) but be very interesting to see how it all plays out. Will be an incredibly exciting and fascinating year for EMB! Has anyone heard anything on the 195E2's entrance into service? With as well as the 190's testing has gone, I'm wondering if they might have a pleasant surprise coming down the pike with regards to maybe beating their schedule with the 195. Also besides for a bit of cut metal last year haven't heard anything on the 175? Have they completely put that on hold or when would we expect to hear more metal cut or production news for it's 2021 entry to service? "Originally targeting the first of half of this year for certification, the program has completed 2,000 flight test hours and, according to program director Fernando Antonio Oliveira, more than 98 percent of all testing needed for final approval." "Next, over the next two or three weeks, Embraer expects to close final documentation and consultation with certification authorities before they grant final approval. If all goes according to plan, the airplane will gain certification at least two and a half months before launch customer Wideroe of Norway flies its first revenue service on April 24." I'm very curious who the 10 E195E2's are for as well as the 15 E175's (Skywest and American haven't been bashful on their orders does anyone know if any of the majors or regionals who have a history of picking up 175's undisclosed? ), and my thinking is we'll continue to see some movement to the E195E2 from the 190E2 as the 195 gains range capability etc. Should be an exciting year look forward to hopefully more E2 orders as the 190 gets delivered and the 195 gets closer to certification. My bet is for a European operator who already owns either the E190-E1 or the E195-E1 model in their fleet. I'm pretty sure this plane is already a winner !!! "The flight-test campaign, which is concluding several months ahead of the company’s original, conservative mid-2018 completion target, has confirmed improvements in fuel burn, range, emissions and noise that exceed the program’s baseline targets. Fuel burn is reported as 17.3% lower than for the first-generation E190, compared to the 16% improvement predicted at the start of development." "Rodrigo Silva e Souza, Embraer Commercial Aviation’s vice president of marketing, said the relatively trouble-free E190-E2 development—which is ahead of schedule, on budget and on weight target—can be attributed largely to the high cadence of new aircraft testing and certification efforts at Embraer, including those for the improved E175, the other E2 models, the Legacy and Phenom business aircraft, and the KC-390 tanker/transport. “I don’t remember any other program of this magnitude which achieved all these goals,” he observed." "Embraer also has agreed with Pratt & Whitney to receive PW1900G engines with the latest production-build standards that avoid some of the issues encountered by Airbus and Bombardier with the PW1100/1500G variants." "In other areas, Embraer said it has agreements with certification authorities for maintenance plans with longer periods between inspections. Basic maintenance inspections now will take place every 1,000 flight hours versus the original plan of 850, while the intermediate check interval has grown to 10,000 flight-hours from 8,500." Agree on Air Europa, Helvetic, HOP, LOT and TAP. Don't know about flyBE. Are they back in the financial area to buy new aircraft or do they still have deposits at EMB? What about KLM? The E2 would deliver significant cost savings vs. a 73G. Knowing so little about the process, is it usual to have the first production engines not be the ones on the test aircraft, or is this just a press release for the sake of press release, or is it a sign of maybe a PIP? "Embraer sees potential in winning more customers in Asia for the E195-E2, as the airframer reiterates plans to expand its footprint in the growing region ahead of the Singapore air show." "Embraer is sending its largest ever team to the Singapore air show that kicks off on 6 February, where it will have the E190-E2 on static display. 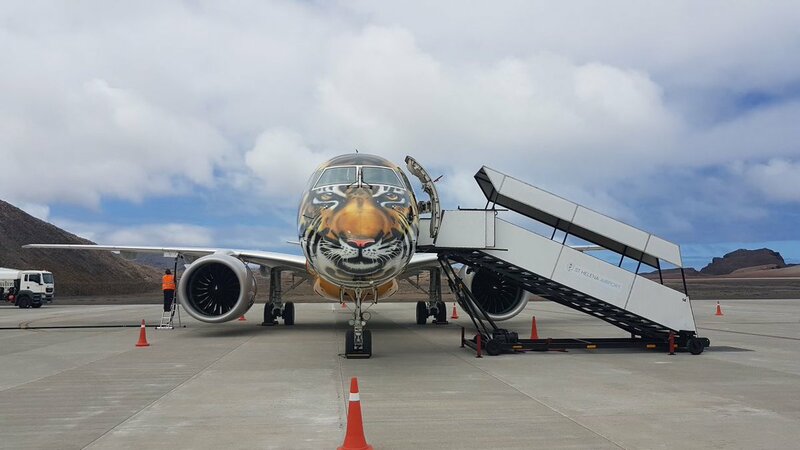 The prototype, nicknamed the "profit hunter" by Embraer, will feature a tiger's face painted on its nose in a nod to Embraer's respect for Asia, says Slattery." "The airframer is months away from delivering its first E190-E2 to Norwegian regional carrier Wideroe in April. The airline plans to operate its first revenue flight with the aircraft on 24 April. Registered LN-WEA, the aircraft was in the final assembly line at Embraer's facilities in Sao Jose dos Campos when FlightGlobal visited today. In the coming weeks, the aircraft will have its engines and cabin interiors installed." Is there any photos from the FAL showing the aircraft to Widerøe being assembled? Yes I know thanks, that's why I asked if it is just en-route to SIN. Was wondering if it is doing some other displays along the way then, since the show only starts 6 Feb.
Is this now the best routing to SIN, since HLE is capable...will it be able to cross the Indian Ocean from MRU probably to SIN? PR-ZFU have just landed in Johannesburg (JNB), so probably just staying the night? The impression I got from another thread on this site about scope was that EMB are more likely targeting non US markets with the E2. Stopover in Saint Helena (HLE) from Recife (REC) on the way to Johannesburg (JNB): another "first" for Saint Helena Airport and another "first" for the E190-E2 !!! Congratulations to all crew !!! The scope is related only to E175-E2 due its weight. Agreed I think you're absolutely right that besides for maybe Jetblue, the E2 right now is going to be exclusively non US carriers, my point was that those will need to start coming through now in order for them to fill up their order book. The past few years the 175E1 has sold amazingly well and given Embraer the chance to switch product generations with an incredibly stable production rate which is often unheard of. So my point being it's going to be this year I think where the E2 orders are needed to fill in the backlog as unless you see mass replacing of CRJ's, there just isn't that many more places you'll see E1's sold going forward I don't think. Hopefully they'll find some orders in Singapore, any thoughts on any targets they have in Asia for the E2? What an artistic "chef d'oeuvre", really! Kudo to the paint shop! Next stop on its way to Singapore: Maldives. Braking Energy Test Paves the Way for Certification. Certification of the E190-E2 is within sight now that this critical test - and one of the last - has been completed. The test measures the ability of the aircraft’s brakes to absorb the kinetic energy produced from stopping after a rejected takeoff at maximum weight and speed. The E2’s brakes easily handled the stress. The results confirmed the aircraft’s robust design and excellent performance. The test is actually harsher than that! If they have to shave down the parts, they'll do it, for the aircraft may not be dispatched with less brake (rotor or pad) than minimum. Fun test. TIres usually blow a relief valve (or stem off) due to over-heating and it isn't unheard of to set the tires on fire. Nice video, but I really hate that music. I'm really excited for this plane. In this video, anyone get a 77W feeling from the wing views, especially at 0:32 and 0:37? Especially with the big engines and raked wingtips. On its way to Singapore. Published photos of the first E190-E2 production to be delivered to Widerøe Airlines in April. "Embraer Expects E2s To Shine in China, Asia-Pac"
"The relative paucity of orders Embraer has drawn for its E-Jet line in the Asia-Pacific region contrasts sharply with its success in China, a market company executives expect only to grow with the introduction of the first E2 variant. Expecting imminent certification of the E190-E2 as the Singapore Airshow approached, Embraer (Static Display CD 31, Stand V01) sees recently announced improvements in hot-and-high performance to draw particular attention from airlines in the People’s Republic, where no fewer than 100 E-Jets already fly with five operators." If any lesson has been of the last 20 years is that predictions are very inaccurate. Perhaps the North American market will move away from the regional aviation concept if the CS-100 and E190 / 5E2 are competitive within legacy airways costs. An enigma to solve is how China's market will develop, recalling the great sensitivity to the theme of state intervention. If there is a relevant market for modern regional aircraft like the E195E2 / MRJ-90, I imagine that the Mitusubishi airplane is politically disadvantaged, in view of China's increasing assertiveness with Japan. 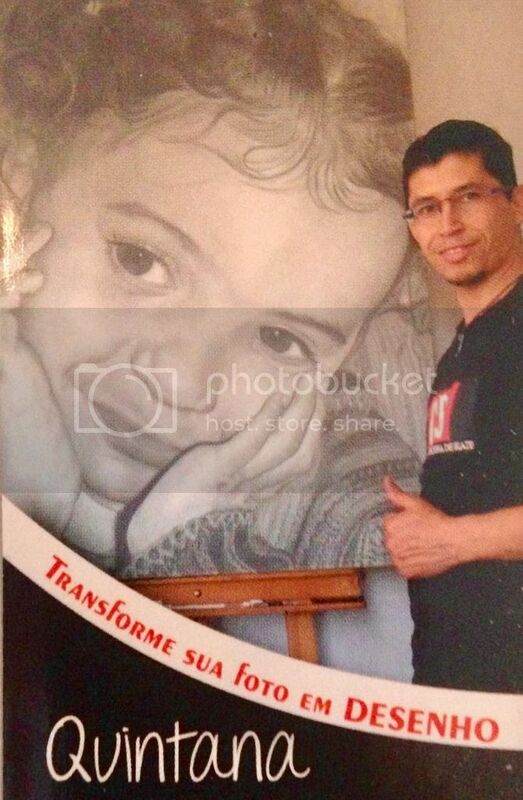 The painting "Profit Hunter - Tigers of Asia" is another beautiful work of art by the artist Clodoaldo Quintana. I had the pleasure of meeting Quintana personally at the Paris fair in Le Bourget 2017. 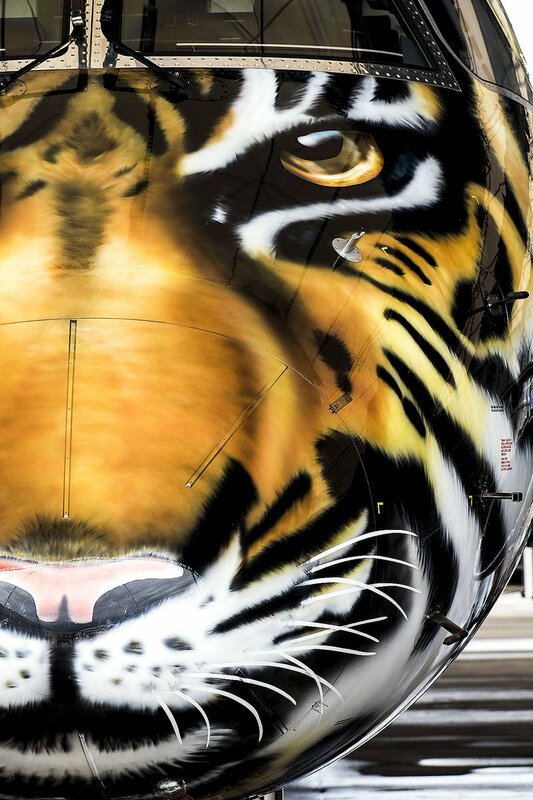 On that occasion the E195-E2 received the painting "Profit Hunter Eagle", also made by the artist. Quintana, a simple and charismatic person, works at Embraer in the painting section. He and the friend who helped him in painting the E-195-E2 made the suggestion to Embraer for the painting. As a reward for the work done, Embraer offered them with the trip to Paris, where they remained in the stand of the company until the closing of the fair. Congratulations Quintana for this achievement !!! "Initial E-Jet E2s to require engine update"
Embraer has confirmed that several of the first E-Jet E2s to be delivered will require an upgrade due to durability issues with their Pratt & Whitney PW1900G engines. The airframer has not specified the total number of E2s it will deliver this year, but has said that 10% of the around 90 commercial aircraft it will produce in 2018 will be the re-engined variant. When asked whether as many as seven or eight aircraft were affected, Souza says that "maybe less" will have PW1900Gs that require a later upgrade to the package C standard to address combustor liner longevity issues. Embraer stresses that a minority of E2 deliveries in 2018 will be affected. However, Souza says that any aircraft delivered with the problematic engines will be retrofitted by year-end. Embraer's E2 family comprises three models spanning 90-146 seats. The E190-E2 and E195-E2 are both in flight testing, with service entry planned for 2018 and 2019, respectively. The third and smallest variant, the E175-E2, is on track to make its first flight in 2019, says Souza, ahead of service entry in 2021. Its PW1700G engines are currently being tested by P&W, he adds. Cesar Pereira, v-p Asia Pacific, Embraer Commercial Aviation (left) and Rodrigo Silva e Souza, v-p marketing, Embraer Commercial Aviation (right) with the tiger special-livery Embraer E190-E2 regional-jet airliner at the Singapore Airshow 2018. One of the 195-E2s was doing touch and goes at RFD today. I was waiting to turn onto the airport drive when it flew by right in front of me. Last edited by iceberg210 on Thu Feb 15, 2018 6:05 pm, edited 1 time in total.